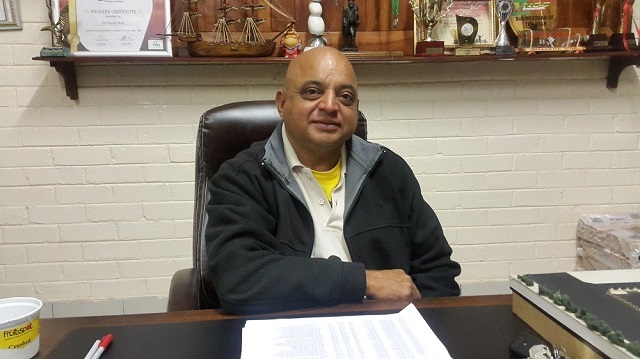 BULAWAYO businessman Mr Raj Modi has revealed that Japanese investors to partner him in setting up a cell phone and laptop assembly plant in the city are set to visit the country in August. Mr Modi, who has been in Japan for a week, said the smart phone and laptop assembly firm was expected to be operational within the next six months. In an interview, Mr Modi said the proposed multimillion dollar investment is expected to employ about 500 people. Mr Modi is a seasoned entrepreneur who runs Wholesale Liquor Hub and has diverse business interests. "I am back from Japan and the trip was a tremendous success. I got investors on board whom I am expecting in a couple of weeks time. They will be here sometime in August so that we finalise the deal and they tour the premises I have secured for the proposed assembly plant," he said. Mr Modi said a team of experts would come and train locals in the cellphone assembly trade. "Experts from the Japanese company will come and train workers who will be tasked with assembling the gadgets. The training will last four to six months. Actually it is not very difficult to assemble the components. So, it will not be rocket science to the workers." Mr Modi decried the coverage of Zimbabwe by the international media, saying it had created a negative perception about the country. "I allayed the fears from the Japanese investors about the country being unfavourable to investors. Those are malicious creations of the international media and I made them aware that Zimbabwe is the safest country for investment and is a very peaceful country." He said the Japanese he met had hope that Zimbabwe's fortune would change under the new dispensation. Mr Modi, a known philanthropist, said his passion for the development of Bulawayo's economy had driven him to create more job opportunities in the city throughout his numerous investments. He said his desire was to have the proposed assembly plant located in Belmont Industrial Area where it will employ many people, with a certain percentage being reserved for people from Bulawayo South. "The company will definitely be in Bulawayo and it will employ up to 500 people. The area where it will be set up is already there in Belmont. At first, the target will be to cater for the local market, and then later we will look into exporting the gadgets," said the businessman. Mr Modi believes that the proposed company could lead to a reduction in the price of mobile phones and laptops in Zimbabwe by a significant level. He said he has already partnered an India-based firm, Kanti Council Services (KCS), to set up a $7 million solar equipment manufacturing factory in Bulawayo, which will be opened in August. He revealed that he was expanding his business empire in order to be ahead of the pack when Bulawayo is declared a Special Economic Zone. "Bulawayo was once the industrial hub of the country and it will regain that status when it is declared a Special Economic Zone. I am setting up all these ventures so that I am ahead in the race. Big things are going to happen in this city and in Zimbabwe. "I hope to be the early bird that catches the worm," said Mr Modi who will be participating in this year's harmonised election as Zanu-PF House of Assembly candidate for Bulawayo South constituency.